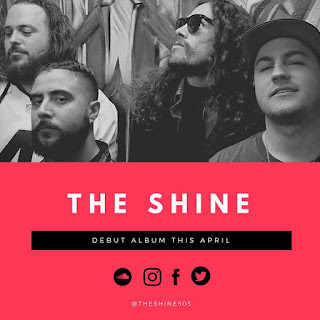 Founded in 2016, The Shine is the grouping of Guitarist Dan K, Bassist Jerm, Lead Singer Perfectly Spoken (PS), and drummer Emilio. The Shine is a collection of different musical backgrounds and elements – combining hip hop/rap with blues and vibrant rock. They’re single/music video for “Make You Cry” gained well over 3k plays in less than 24 hrs in promotion for the debut of their first studio album dropping this April. The Shine stands to be a force to be reckoned with in their home state and throughout the nation. Their high energy can be felt through their vocalists sometimes manic scream to his mellow delivery. The range of progressions and understanding of rock music allows the guitarist to lead the bands rhythm to a powerful place, the bass lines are heavy and loud and brings back dynamism to rock music. All of this intensity is coupled with the back beat of a madman on the drums. The drummer seals the entire package up nicely for a well rounded eclectic sound that addresses societies edge and how music is that bridge to pure life. Keep up with more of The Shine on Spotify, Twitter, Facebook, Instagram and SoundCloud. Also keep an eye out for a show near you.